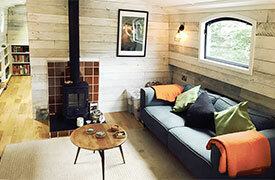 Additional dry storage space or additional living area on your narrowboat? 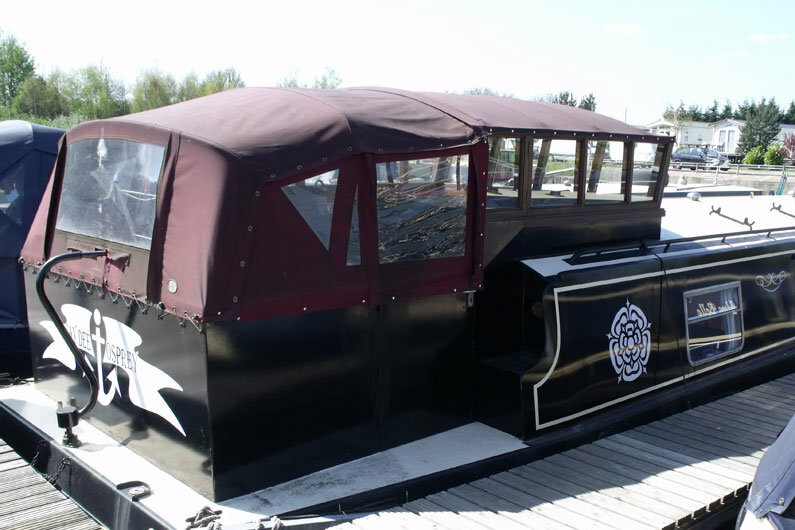 A canopy can provide vital space on a narrow boat and come in a range of shapes and sizes. Canopies come in many different forms depending upon your narrow boat type. Canopies can provide vital additional dry storage space, even extra living area. 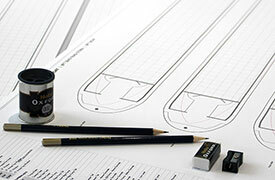 Canopies can be installed at the stern and/or bow of a narrowboat. The majority of boaters will call in the professionals to make and install the canopy due to the specialist skills and equipment required. Canopies will generally all be handmade to the specifications of your boat and the choice of colour and design are extensive. The most common fabrics are acrylic or marine-grade canvas and PVC-coated vinyl. The latter can be identified by the ‘shiny’ finish however the heavy weight material is prone to cracking and becoming stiff with age. PVC vinyl canopies are UV and tear resistant and with correct maintenance can last 12-15 years. A canvas canopy is a light-weight dyed fabric which will retain its flexibility and colour over the years, but it does require a little more care and maintenance than a PVC canopy. Canopies are expensive to replace. Too often green algae or moss is allowed to build up on the canopy but regular maintenance will ensure the life of your canopy is maximised. PVC-coated canopies are the lowest maintenance option, requiring no special treatment and can simply be washed with soapy water or using a hose pipe. The life of a PVC cover can be extended with using a PVC protector which acts as a barrier to UV and other pollutants, otherwise the risk is the colours will fade significantly over the years. A canvas canopy can be cleaned using a mild soapy solution with a soft brush or sponge. You should avoid using harsh detergents as these can affect the waterproof coating on the canvas. Extra care also needs to be taken not to scratch the vinyl windows. Areas where water collects can become stained green if left for extended periods of time. Depending on the type of canvas used you may need to periodically treat the canopy to restore its water and stain repellent. Your canopy manufacturer will be advise on products they recommend for cleaning and treatment. Unfortunately condensation within the canopy can be an issue which can lead to mould forming on the material. Some canopy manufacturers will install vents to try to eliminate the issue. A detachable cover made of weatherproof fabric which in conjunction with a cratch board covers the bow section of a narrowboat or canal boat. Usually with zipped access panels and sometimes having plastic windows. It prevents the ingress of water and debris and increases the practical use of your bow well. The side access panels can usually be rolled up to let additional light and air in ….. It is important to always roll up any windows or door on your canopy rather than throwing on to the roof of your canopy to protect the material and vinyl windows. 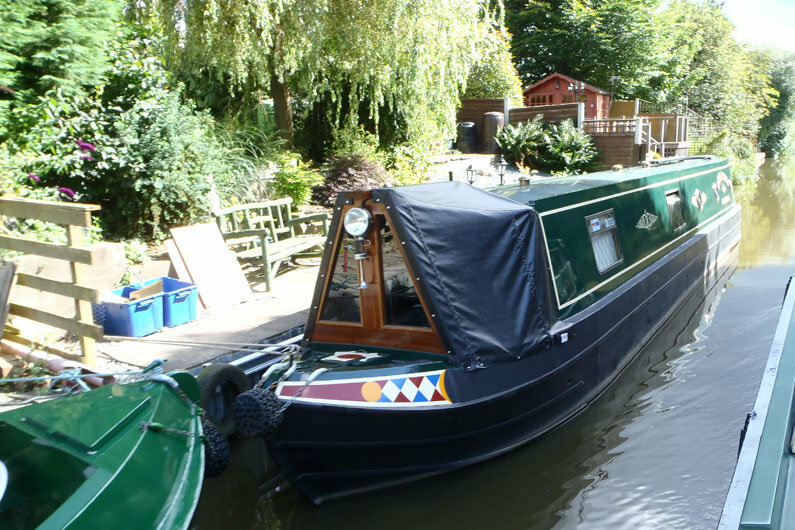 As well as additional dry storage, a large narrow boat bow can provide a pleasant seating area to enjoy the scenery and spectacular sun sets. Although a cratch board, made of timber, is the most common method of creating the structure for a canopy; you will also find manufacturers who make the structure using stainless steel poles to make a ‘cratch hood’. The clear advantage of a cratch hood is less maintenance as a timber frame would require regular treatment and has a limited life span. A pram hood is a weatherproof fabric cover fitted to a folding framework over the rear deck area of a narrowboat or canal boat. Also referred to as a Pram Canopy or Pram Cover. A pram hood can be fitted to all styles of narrow boats and can be used with a tiller or hydralic steering. A pram hood is usually made up of several sections with glazed or soft windows which offers maximum versatility depending on your requirements, and more often the weather! Either a fully enclosed cover or remove (or roll up) the front, back or side panels if desired. The folding framework allows it to be raised and lowered with ease. Always be mindful of any bridges you need to navigate on your cruise and whether you have sufficient head room with the pram hood in place. A detachable cover made of weatherproof fabric designed to completely enclose narrowboat deck areas and prevent the ingress of water and debris. 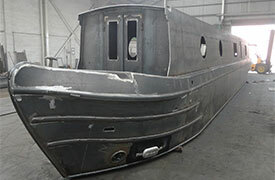 Can be fitted over bow decks or the stern decks of narrow boats with semi-traditional and cruiser style sterns. 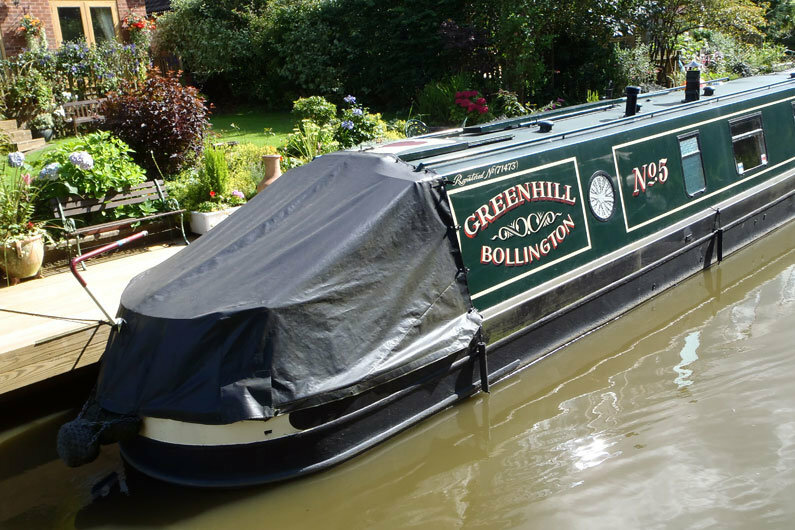 Tonneau covers are often used when a canal boat is left for periods of time to protect the external decks. They are also commonly known as ‘put to bed’ covers.